Famed naturalist and writer John Muir (a founder of the Sierra Club) once observed that if it ever came down to a war between the races, he would side with the bears. That remark inspired the title of this compelling collection of short fiction concerned with climate change. This collection is a jolt out of our armchairs, a call to arms, because scientific evidence has its limitations. 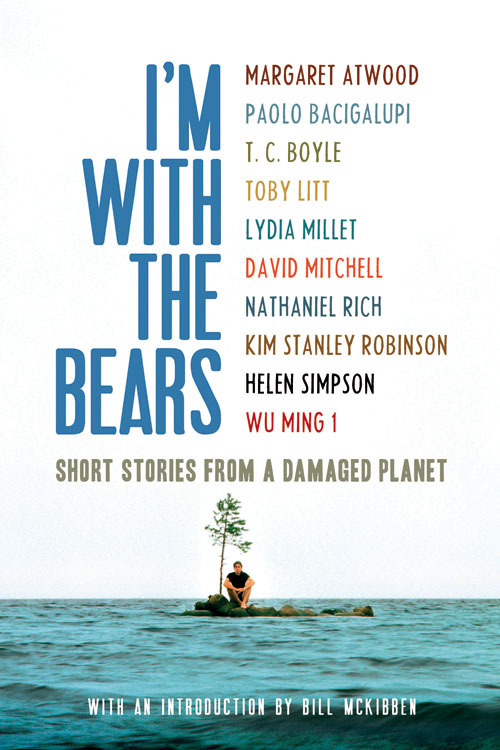 The all-star array of fiction writers who have contributed to this book helps us feel what it would be like to live in a very different landscape. T.C. Boyle's disturbing story involves early eco-activists; David Mitchell imagines a world dramatically changed by oil prices; Nathaniel Rich has a darkly comic story about a crab and a marine biologist. Together, these stories inspire both fear and hope about our environmental future. Of course, the other reason this little volume is so terrific is that the stories are written with verve and style. Feel good about the purchase: Royalties go to 350.org, a group working to reduce carbon dioxide in the atmosphere.